It has been three years since Baby Girl was at the University of Tennessee Small Animal Clinic to receive a titanium trachea stent. The average life expectancy after receiving the stent is 2 years, well, Baby Girl has shown that statistics wrong. 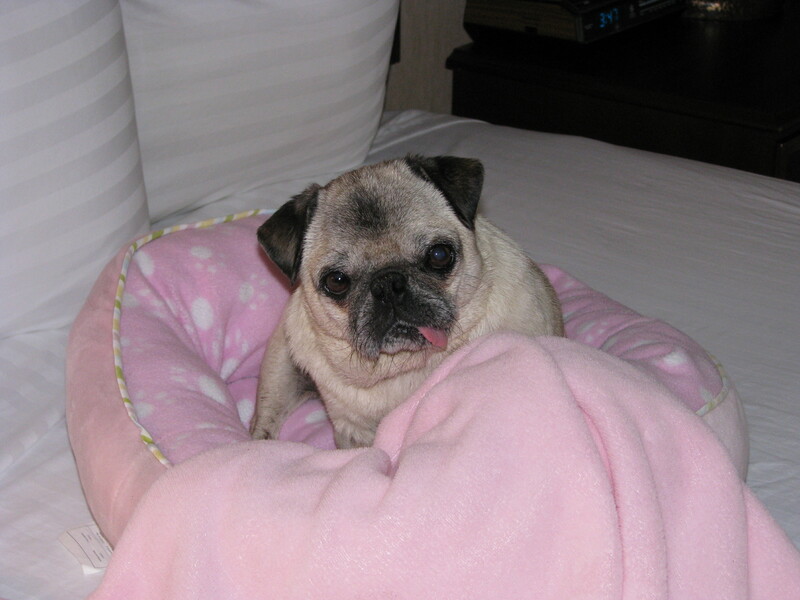 This photo was taking in the hotel room the night before we met with the vet staff. I hugged BG tight and just cried that night. I had no idea what the next day would bring for her. It’s been a journey to say the least, but every day is a celebration that she is here with us. 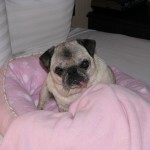 You are currently browsing the papaspugs.com Blog blog archives for May, 2011.